This is one of the most innovative solutions to shower, toilet or change room privacy while on the road. Perfect for campers without existing ensuites or 4WD trips. All that is required for installation is to attach to the side of vehicle or camper with brackets provided, high enough to allow shower to hang, and away you go! 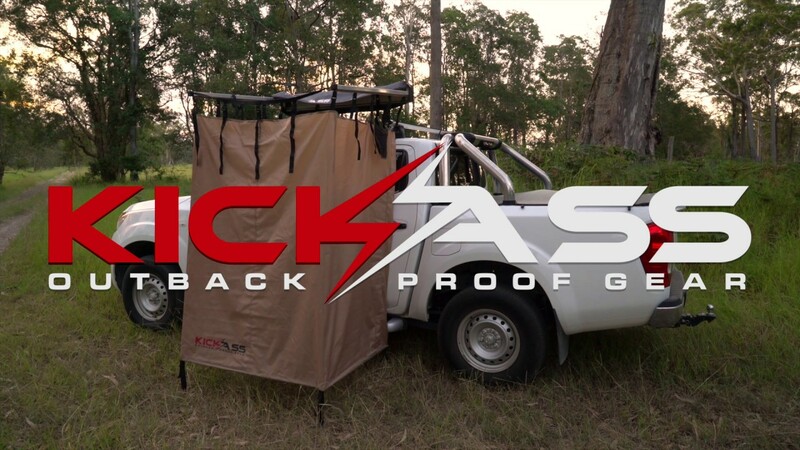 Paired with our handy KICKASS Portable Rechargable Shower, this is the perfect way to create a luxury experience while roughing it on the road! Your guide to understanding smart stage battery charging and the benefits it could bring to your 12V dual battery system. Complete this form to email us your enquiry regarding KASTENT-AWNRCG.